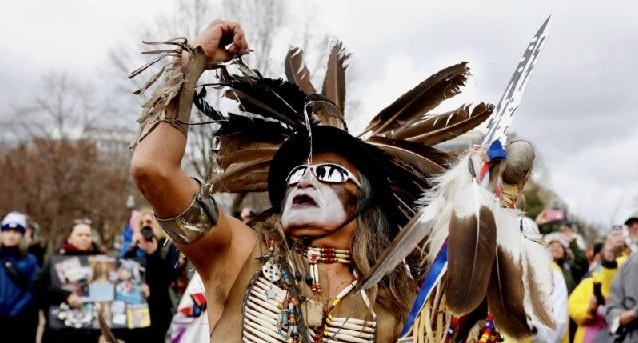 White Wolf : 55 Cities Change "Columbus Day" To "Indigenous People's Day"
55 Cities Change "Columbus Day" To "Indigenous People's Day"
Instead of honoring Christopher Columbus, the Indigenous Peoples Day recognizes Native Americans, who were the first inhabitants of the land that later became the United States of America. Advocates for the switch to Indigenous Peoples Day argue that Columbus did not “discover” America in 1492 but instead began the colonization of it. 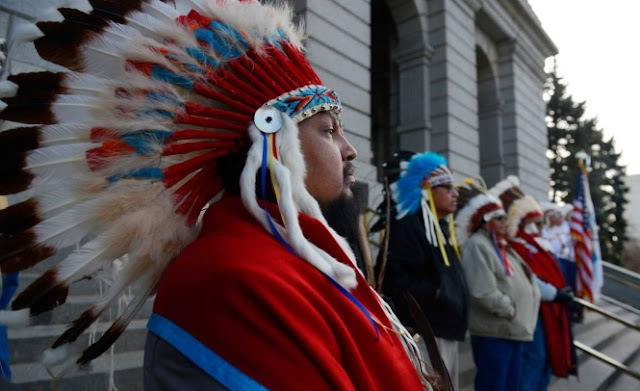 For decades, Native American activists have advocated abolishing Columbus Day, which became a federal holiday in 1937. This year, both Indigenous People Day and Columbus Day are on Monday, Oct. 9. While the United Nations declared August 9 as International Day of the World’s Indigenous Peoples in late 1994, Berkeley, Calif., had already become the first city in the U.S. to replace Columbus Day itself. The city’s decision was influenced by the First Continental Conference on 500 Years of Indian Resistance in Quito, Ecuador, in 1990, which spurred another Northern California conference that discussed similar issues and brought them to the Berkeley City Council, TIME has reported. With the exception of Santa Cruz, Calif., and the state of South Dakota, which adopted the similar Native American Day in place of Columbus Day in 1990, the cities, states and universities that have chosen to celebrate Indigenous Peoples Day instead have done so only recently, with cities like Minneapolis and Seattle voting to celebrate Indigenous Peoples Day instead in 2014. Which cities and states celebrate Indigenous Peoples Day? *Celebrates Native American Day. **Celebrates both Indigenous Peoples Day and Columbus Day. Los Angeles Los Angeles County Berkeley, Calif. Santa Cruz, Calif. San Fernando, Calif. Burbank, Calif. Long Beach, Calif. San Luis Obispo, Calif. Watsonville, Calif. Seattle Olympia, Wash. Spokane, Wash. Bainbridge Island, Wash. Minneapolis Grand Rapids, Minn. St. Paul, Minn. Denver Durango, Colo. Boulder, Colo. Phoenix Ann Arbor, Mich. Traverse City, Mich.
Alpena, Mich. East Lansing, Mich. Ypsilanti, Mich. Albuquerque, N.M. Santa Fe Portland Eugene, Ore. Newstead, New York Village of Lewiston, New York** Ithaca, New York Anadarko, Okla. Norman, Okla. Responses to "55 Cities Change "Columbus Day" To "Indigenous People's Day""
Hawai'i has always had Discoverer's Day since before statehood. Soundsike a dumb question, but how does one start such a well needed movement in their area? My organization,The Red Handed Warrior Society,helped to pass IPD declarations in Dallas, Corpus Christi Texas and Ft. Worth I.S.D. As far as I'm concerned, "columbus day" shouldn't have been a "holiday" in the first place, everyone knows the people was here first. it should've been Natives day from the beginning. the change is way long over due!! I convinced 23 cities in Kentucky to pass Indigenous Peoples Day proclamations in 2018 including Louisville and Frankfort. These cities were listed in Smithsonian Magazine in October 18. Indigenous means originating or occurring naturally in a particular place. So there is no such thing as indigenous people since every group of people originated elsewhere. I live in HAWAII. Unfortunately, we still have C. DAy. I personally don't acknowledge him ever !!!!!!! BTW: to anonymous above the only place then we are all indigenous from is sub-Saharan Africa since according to genome research that is where modern humans ALL originated from. Indigenous therefore can mean those who were first to have occupied & established the human race in that location. Always found it fascinating that allegely history in the United States did not begin until Europeans found out about it. Even then most of the history in our school history textbook are only about Anglo-Saxon men. Seem to me like a lot of history got left out. Seems to be a lot of people that the American school history books don't mention. Add OKLAHOMA CITY to this list, as of Indigenous People’s Day 2018.